Presentation on breast cancer prevention and screening in the South Bronx. No ACA repeal! Protect not destroy our healthcare! Healthcare Education Project, and others. 9th District to express their concern about proposed healthcare cuts. HEP's mission is to protect and expand access to quality, affordable healthcare for all New Yorkers through education, advocacy, and coalition building. Stay up to date with the latest in healthcare by signing up for our mailing list. 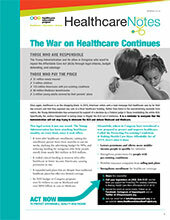 By submitting this form, you consent to receive marketing emails from Healthcare Education Project. You can unsubscribe at any time by using the SafeUnsubscribe® link under every email. 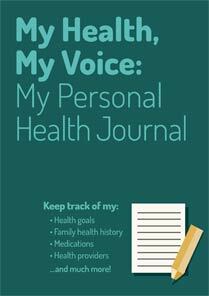 HEP and Raising Women’s Voices have produced a personal health journal that allows consumers to document their health goals and health history, and includes sections like a doctor’s visit checklist. 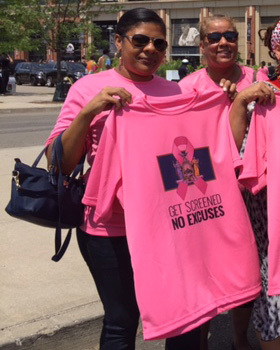 Governor Cuomo and the New York State legislature have made breast cancer screenings free and more widely available around New York State. HEP is teaming up with partner organizations to organize health fairs and screening events around this initiative. More than 10,000 New Yorkers are on waiting lists as the need for organ donations far exceeds the supply. One person who donates organs (hearts, lungs, liver, kidneys, pancreas and intestines) can save up to eight lives, while a tissue donor (corneas, bone, skin, heart valves, tendons, veins, etc.) can improve 12 or more lives by restoring eyesight, helping fight infections in burn patients and preventing the loss of mobility and disability.